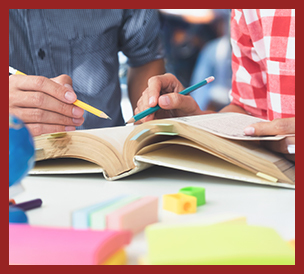 Our governing board and district administration are dedicated to the education of our children. They value your input into the decision-making process. We encourage your attendance at our regularly scheduled board meetings whenever possible. New this year, Riverside Elementary School District No. 2 adopts paperless meeting technology for the new school year. We invite you to read this press release for the full story. The Riverside Elementary School District No. 2 District Administration and Governing Board will hold all their regular board meetings the third Thursday of every month commencing at 5:00 p.m. for the 2018-2019 school year. The governing board regular meetings will be in the R2 district board room located at 1414 S. 51st Avenue. We will post regular board meeting notices and agendas 24 hours in advance of the regular board meetings. The regular board meeting notices and agendas will be posted inside the enclosed R2 public notice bulletin board located next to the Riverside Traditional School administrative office and adjacent to the district office on the southeast corner facing 51st Avenue. Additionally, we will post regular board meeting notices of time, date, and location of the regular board meeting on this website. If you need further clarification and assistance, please contact the district office at (602) 477.8900. Parents — Please note that any board policy is available for oral translation. There is always a translator available at our board meetings. Padres — Por favor note que cualquier póliza de la mesa directiva está disponible para traducción. Siempre hay un traductor disponible en nuestras juntas de la mesa directiva. The Riverside Elementary School District No. 2 District Administration and Governing Board will hold all their special board meetings as needed. The governing board special meetings will be held in the R2 district board room located at 1414 S. 51st Avenue. We will post special board meeting notices and agendas 24 hours in advance of the special board meetings. The special board meeting notices and agendas will be posted inside the enclosed R2 public notice bulletin board located next to the Riverside Traditional School Administrative Office and adjacent to the district office on the southeast corner facing 51st Avenue. Additionally, we will post special board meeting notices of time, date, and location of the special board meeting on this website. If you need further clarification and assistance, please contact the district office at (602) 477.8900. Dr. Joyce Luckie was elected to her first four-year term on November 8, 2010, after being appointed to the board in February 2009 by the county superintendent of schools, Dr. Don Covey, to fill a vacant seat. She is currently serving as president of the board. She has taught in a pre-school, K–12, and substitute teacher capacity since 1993 in various subjects across the United States. 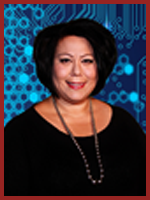 She has a doctorate degree in educational leadership from Argosy University, a master’s degree in organizational management from the University of Phoenix, a bachelor’s degree in business administration from Chicago State University, and an associate’s degree in real estate from San Diego City College. She has business experience as a realtor, commercial and residential property management, corporate trainer, human resource director, and as a small business owner. She is currently an educator and dedicates her life to making a difference one student at a time. The county superintendent of schools, Dr. Don Covey, appointed Ms. Lillie Valencia in April 2016 to fill a vacant seat. Ms. Valencia has resided within the Riverside Elementary School District boundaries for sixteen years. Ms. Valencia was born and raised in Phoenix, Arizona. She attended Roosevelt Elementary School and graduated from South Mountain High School. 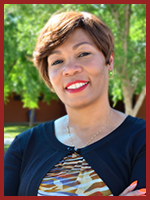 Ms. Valencia graduated from Arizona State University with a bachelor’s degree in education. She enjoys traveling, cooking, and paper crafting. Ms. Valencia is currently working as an educator in a nearby district and is a former Riverside Elementary School District faculty member. She has dedicated most of her career to education. Ms. Valencia started her career as an instructional assistant and through hard work and dedication is now an elementary school teacher. Ms. Valencia has taught many grade levels including kindergarten, third grade, sixth grade, and special education. Ms. Valencia believes in the students, community, and faculty at R2. She specifically supports the district's focus on STEM and the vision of preparing R2 students for the advanced careers of the future. Her focus is on the community, the whole student, and the teachers. Ms. Valencia has two children who attended the Riverside District Elementary Schools—both Riverside Traditional School and Kings Ridge Preparatory Academy. Ms. Valencia has a child with Autism and is willing to share her experiences with other parents of exceptional children. She understands the importance of preparing children for college and the careers afterwards. She strongly believes Riverside Elementary School District is the top district to offer students a rigorous, STEM driven, and innovative education. Ms. Valencia is excited to be a part of a great STEM district. County superintendent of schools, Dr. Don Covey, appointed Mr. Martin Martinez in January 2015, as he ran unopposed in this election cycle. 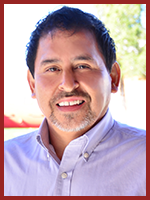 Mr. Martinez was born in Laredo, Texas, and moved with his family to Phoenix at a young age. He has lived in Phoenix, Arizona, for the past 14 years. Mr. Martinez has served the community in many ways, one of them being a coach for youth soccer for eight years. Mr. Martinez is self-employed and owns two businesses. He enjoys the outdoors and spending time with his daughter. His daughter currently attends school in the Riverside District. Mr. Martinez received the award as R2’s Volunteer of the Year for the 2013-2014 school year. Mr. Martinez is happy to be a part of the governing board and looks forward to working side by side along with other board members to achieve the best results for our students. He believes students will successfully achieve their goals if they are properly equipped during their school years with a Riverside School District education. He strongly believes in inspiring lifelong learning to advance knowledge and strengthen our communities. Interested in past public notices? We invite you to view our Governing Board Archives page.